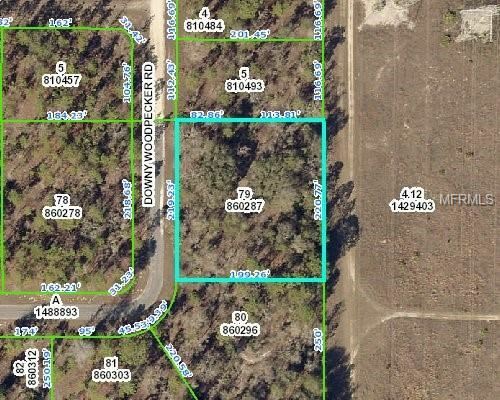 Beautiful 1 Acre building lot or a great investment. No rear neighbors. Heading North on US 19, turn right on Thrasher Ave. 3 miles down turn right on Downy Woodpecker Rd. Lot will be on your left. The approximate monthly Principal & Interest payment for this property would be $96. This payment is based on a 30-year loan at a fixed rate of 4.12 % with a down payment of $1,800. Actual lender interest rates and loan programs may vary.